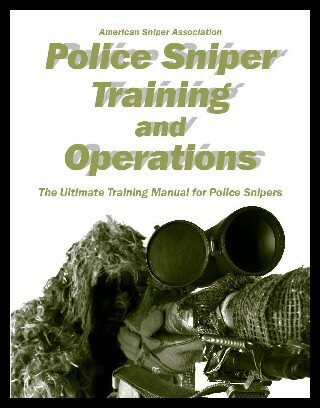 Police sniper manuals have been written and published for nearly as long as there have been police snipers. In the beginning, most were simply reworkings of existing military manuals, with the word "police" thrown in every few paragraphs. The content, for the most part, wasn't really relevant for a law enforcement sniper working in an urban environment. Later, manuals began to appear, written for the police sniper audience. However, many of these were written by people who had little or no actual experience as police snipers. As a result, most of the information contained in them was anecdotal references, and recycled military information. Others perpetuated common sniper-related myths and misinformation, stating facts without foundation. The American Sniper Association took on the task of addressing these issues and shortcomings by launching a three-year project to compile the most comprehensive police sniper training manual ever written. Members of the Executive and Advisory Boards, most working snipers and instructors, contributed chapters, covering everything from organization to operations. Specialty topics were covered in-depth by experts in their fields. The list of authors contains a Who's Who of tactical personnel and trainers; including Lt. Col Dave Grossman, Pavel Tsatsouline, Jeff Martone, Dr. Martin Fackler, and some of the best sniper instructors in the country. This manual is written by people who are uniquely qualified to teach these topics. The authors don't rely on untested theory or anecdotal war stories. What they bring to each chapter is the kind of subject credibility that can only come from firsthand experience. The readers will benefit from learning what works, what doesn't, and knowing exactly why. The myths are exposed. The training methods have produced positive results. And the tactics have been proven on real-world operations. This is a chance to learn police sniping from police snipers. Police Sniper Training and Operations is a restricted publication, made available to police, corrections, and military personnel only. All orders must be accompanied by a current ID, or be submitted on agency letterhead. Because of the sensitivity of the information contained in the manual, we ask all officers purchasing a copy to be mindful of its distribution. The manual is available from Snipercraft. Copies are $45 each, which includes postage and handling. Please make checks payable to Snipercraft.